Join the frazzled passengers and crew at ten airports around the world in Departures, a very British comedy by John Godber. 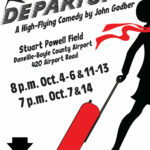 Directed by Anthony Haigh at the Danville-Boyle County Airport, you’ll sit in the lobby among the actors as they try to survive the modern perils of air travel. amid the gray and dying winter forest. 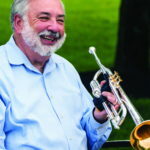 money, recruit others passionate about theater, and settle on a play and a venue.